Introducing the We Build Ideas Digital Marketing Dashboard. Understanding marketing performance is key to growing your business. Why waste money and time on something that doesn’t work right? That’s where our dashboard comes into play. It delivers all the essential data in easy to follow real-time report – Available 24/7. Make data-driven decisions on where to most efficiently spend your marketing budget. The We Build Ideas Digital Marketing Dashboard delivers clarity. The best part is, it’s all in one place and you can customise to your liking! No more logging in here, and logging in there. One login to access all your valuable data. Don’t have Pinterest? Don’t add it to your dashboard. Have a massive following on Instagram? Add it in and track your performance. Simple. 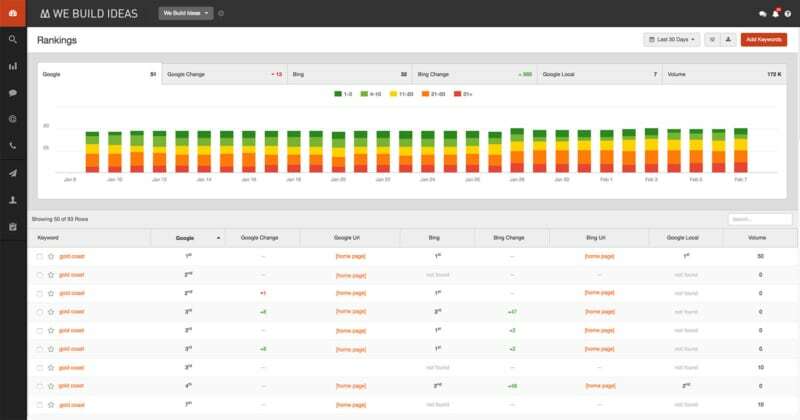 Your options include real-time data and reports. You can schedule reports daily, weekly, monthly or any custom time frame required. The dashboard easily scales up with digital marketing activities and the growth of your business. Below is a list of all the great features! What’s included in the digital marketing dashboard? Keyword Ranking – Track keywords in Google, Google Local and Bing. Backlinks – Track new and lost backlinks to your website. Including trust and citation analysis. 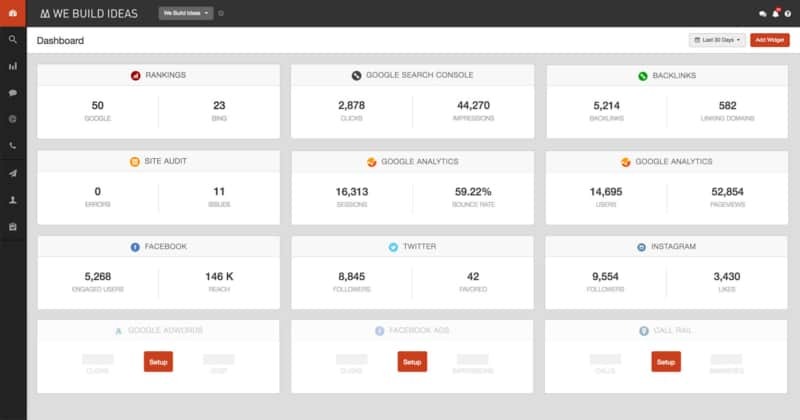 Competitors – Track your competition’s backlinks. Monitor the number of keywords in the top 10 of Google. Website Audit – Scan your website to learn what needs work for on-site SEO. Google Search Console – Find what keywords are popular in search. Google My Business – Track searches, map views, calls and directions enquires. Bing Webmasters – Like Google, track searches, top pages and crawl errors. 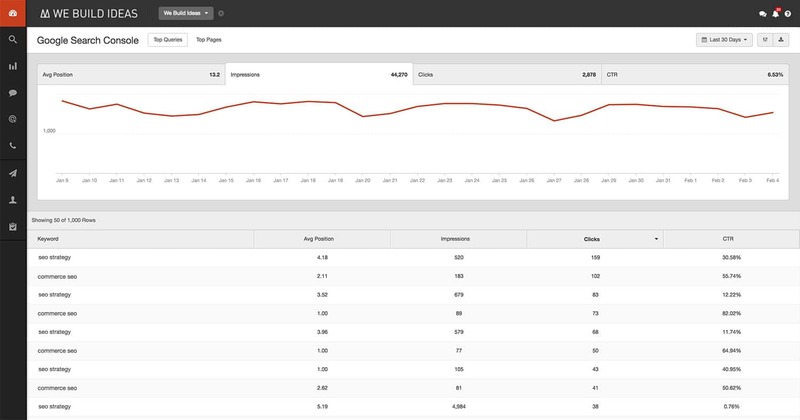 Google Analytics – Track channels, visitor stats, pages visited + more! Events – Do you track events in Google Analytics? You can analysis them too. Online Advertising – Track Google, Bing, Facebook and AdRoll ads. 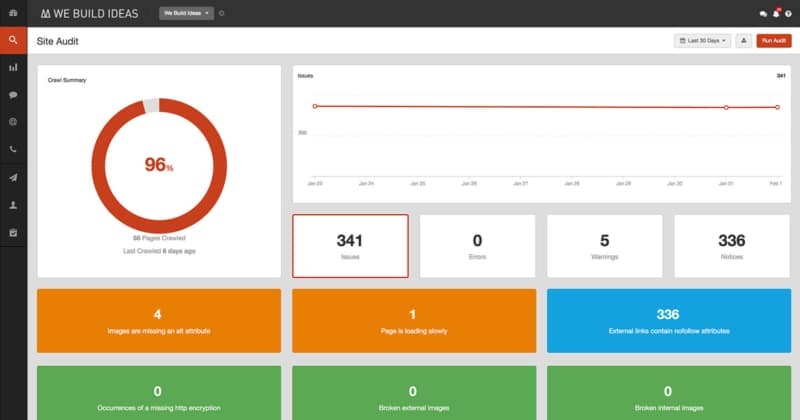 Call Tracking – Avanser, Call Rail, Call Tracking Metrics, Marchex and What Converts. Email Marketing – MailChimp, Campaign Monitor, ActiveCampaign and Constant Contact. Reviews – Yext, BirdEye and Grade Us. WordPress Care Plans – Dashboard is included with the Silver & Gold plans. SEO Retainers – track your Search Engine Optimisation marketing spend and performance. Ready to make your business more visible and profitable? Contact We Build Ideas, your local Gold Coast digital studio. Have a question? Use our simple enquiry form. Click Contact Us. 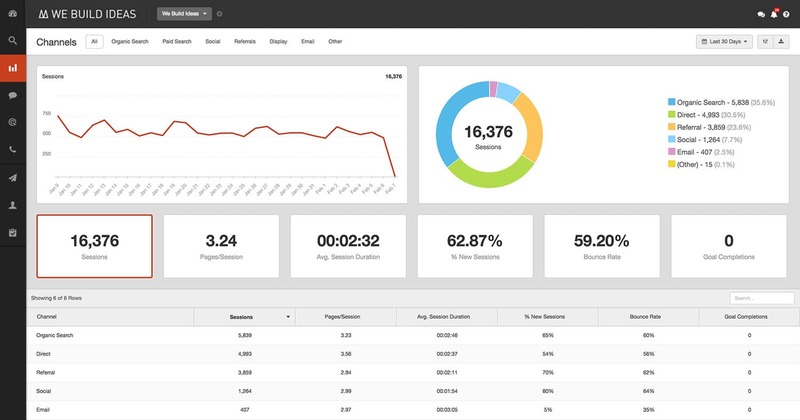 Have a question regarding our digital marketing dashboard? Visit Contact Us and reach out to us today – We’re always happy to hear from you.